Planting a seed will kill the weed that has been trying to choke up your blessings. You can SOW where you want to GROW by sowing into SAGE Ministries. No seed is too small or too large and is most appreciated. You will be helping Ambassador Dr. Sharon Edmond spread the Apostolic Move across the globe and investing into your destiny! If you are looking for fertile ground to tithe into and hold back the curse from your finances and household, consider tithing into SAGE Ministries. 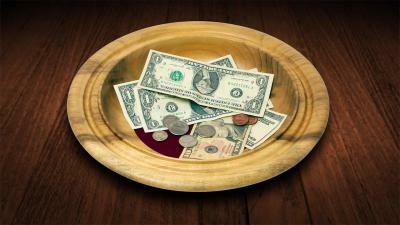 Remember, that it is the tithe that holds back the curse over your finances, family, and health. It is the seed that determines your financial prosperity. Did you know that it is important to be connected and in covenant with the five-fold ministry? Be assured that when you partner with SAGE Ministries, you automatically plug into the five-fold on a level beyond man’s belief. The oil runs down! Therefore, when you covenant with SAGE, the oil from this God woman falls on you immediately and instantaneously! No matter who you are, where you are, or what time of the day or night it is, when the Woman of God releases the mantle, it lands target whether you are asleep or awake. This is your year of progression! Your solution is here! Become a Covenant Partner today. Proverbs 3:9-10, Leviticus 23:9-14, and Romans 11:16 mention the giving of first fruits. Your First fruit is your guarantee that all is well financially for the rest of the year. It proves to GOD that He is first and not your job or assignment. In order to get something that you have never had, you have to do something that you have never done. When a first fruit offering was brought before the LORD, it represented a prayer to GOD to watch over the future harvest that was on the way. The first fruit is just a taste of what lay in store. First fruits are not just a requirement of the Old Testament. It is a NOW requirement. In Leviticus 23rd chapter starting at the 10th verse, GOD spoke to Moses and told him to tell the children of Israel to bring a sheaf of the first fruits of their harvest to the priest to wave it to GOD on their behalf. The word sheaf means a bundle or a stack. It takes two hands to carry a bundle or stack. Verse 14 makes it clear. It says that it shall be a statute forever throughout your generations… The word statute means law, rule, order and act. First fruit is a permenant law that must be observed forever.